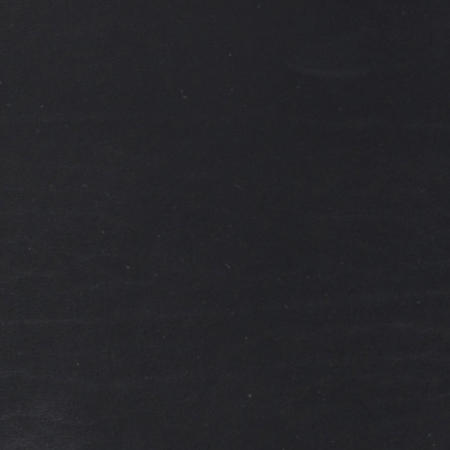 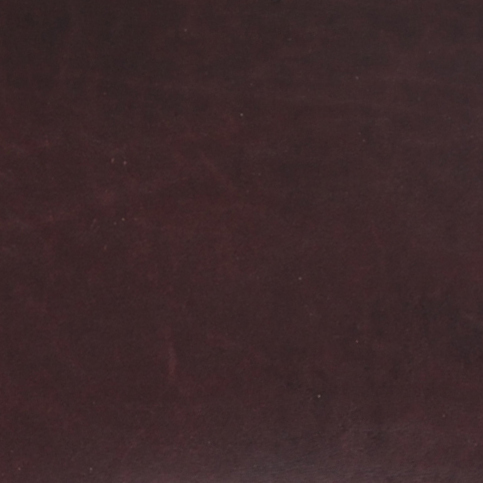 Coming from our Old Post collection, the COLLEGE dark brown provides its user with a lot of advantages. 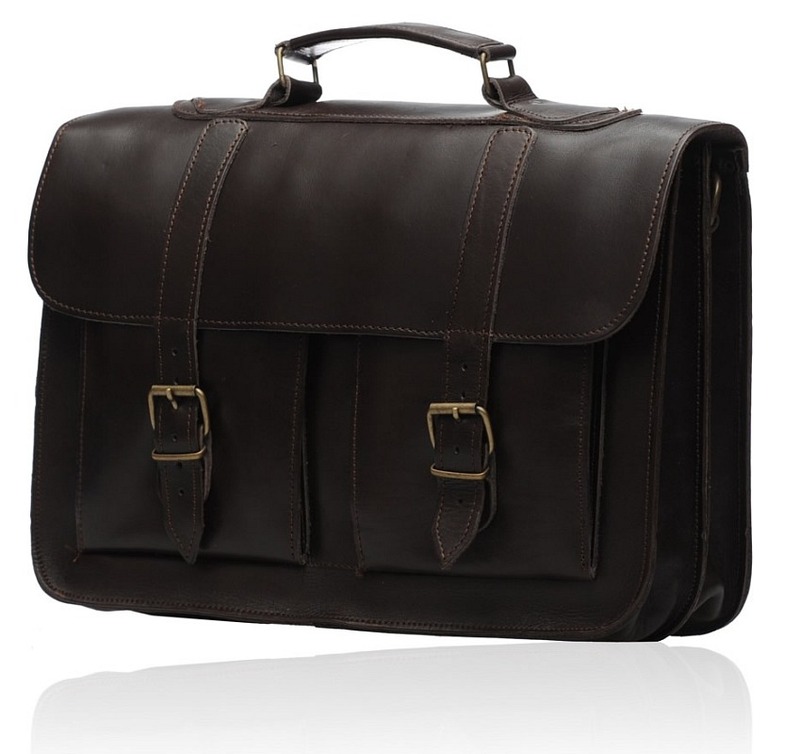 Looks are extremely important when purchasing a briefcase and the dark brown calfskin leather looks extremely beautiful in all aspects. 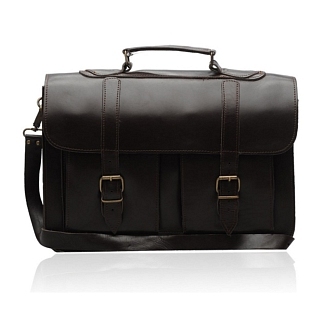 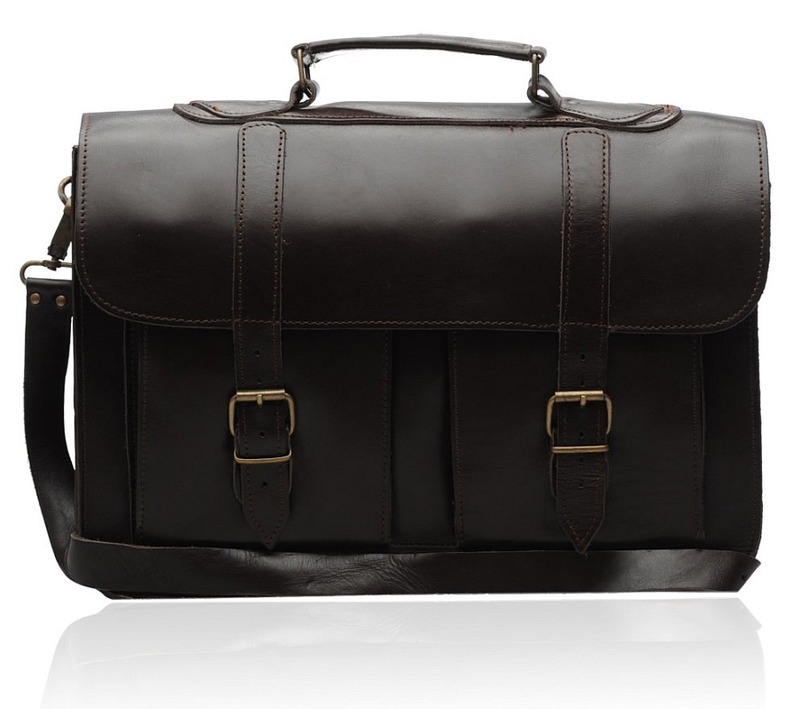 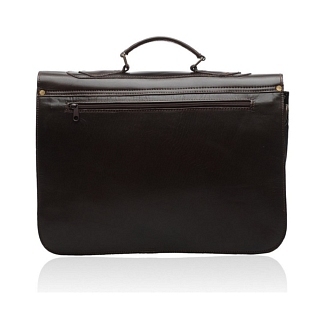 There’s lots of space to be had as well, as this dark brown briefcase includes two different compartments inside as well as two external pockets and a back zipped sleeve. 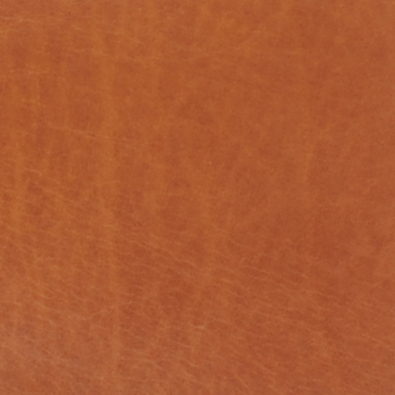 Two stylish buckles are placed on the front side. 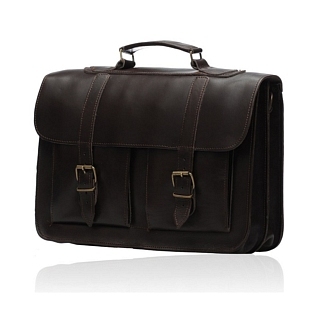 Apart from the handle at the top, you can also carry this briefcase with the shoulder strap that comes with the leather briefcase. 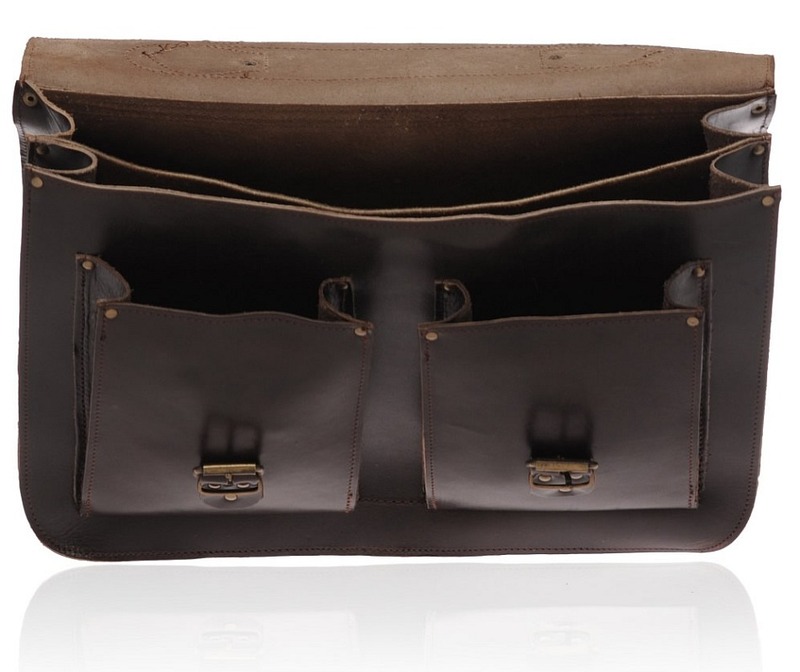 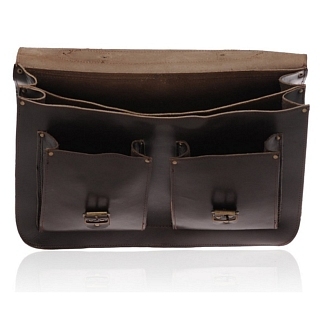 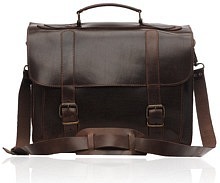 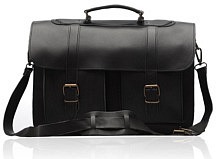 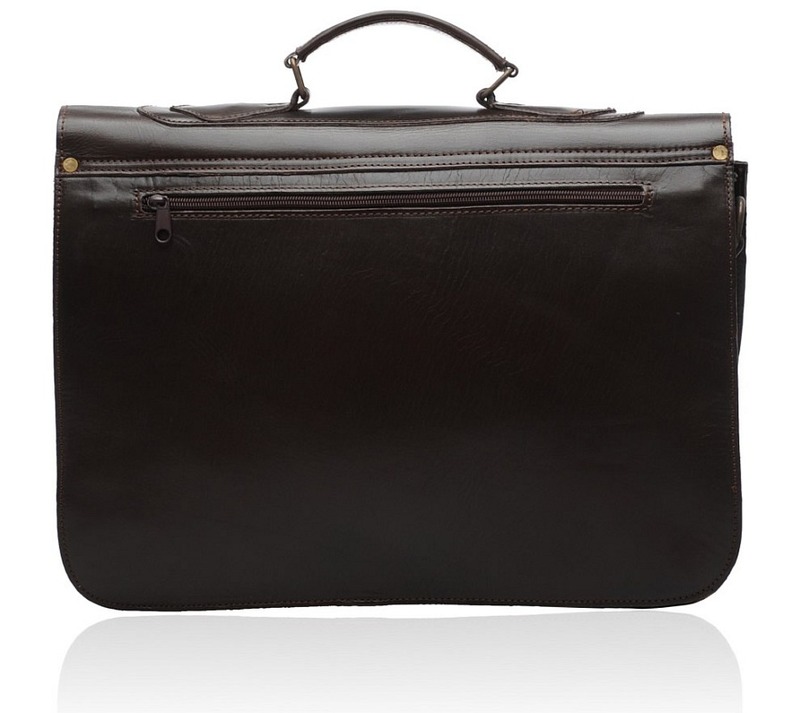 A narrow zipper sleeve is also placed at the back of the briefcase.